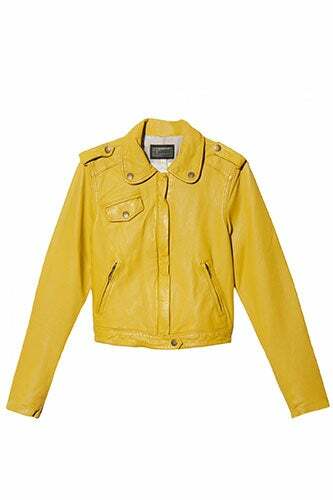 Your go-to moto jacket is as classic as a tailored, white button-down or broken-in pair of blue jeans. It’s timelessly badass and can work with just about every item in your closet. But, while some may be quick to grab an always-chic black number, we believe that a colorful replacement can be just as versatile and edgy. Don’t believe us? Simply scope out the rich burgundy, shiny silver, neon yellow, and yes, even stark-white options giving the moto jacket a welcomed upgrade this year. 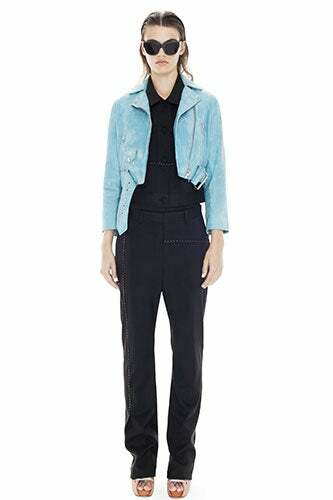 Acne Mape Petite Su Pop Blue, $1,250, available at Acne. 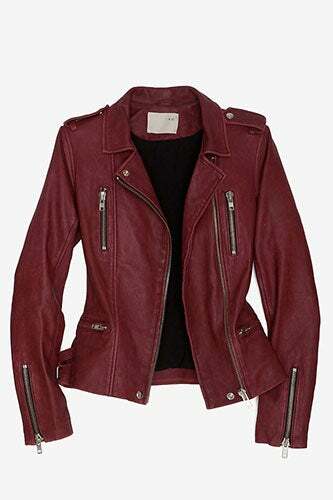 Theory Grain Leather Biker Jacket, $1,194, available at Flannels. 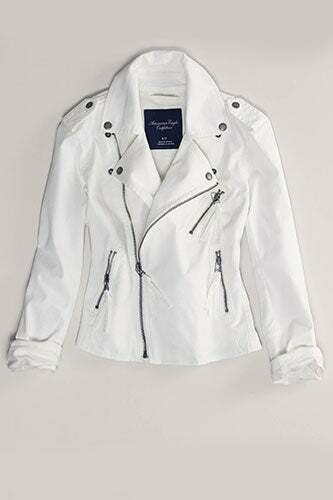 Forever 21 Stitched Faux Leather Jacket, $42.80, available at Forever 21. 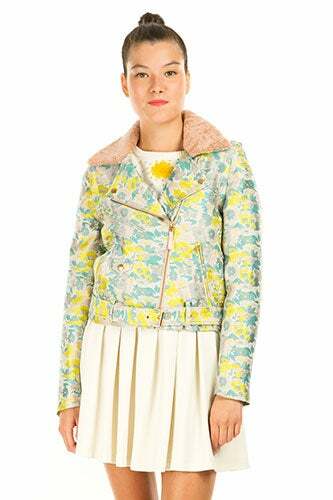 Club Monaco Christy Moto Jacket, $239, available at Club Monaco. Opening Ceremony Shearling Collar Zip Off Moto Jacket, $750, available at Opening Ceremony. 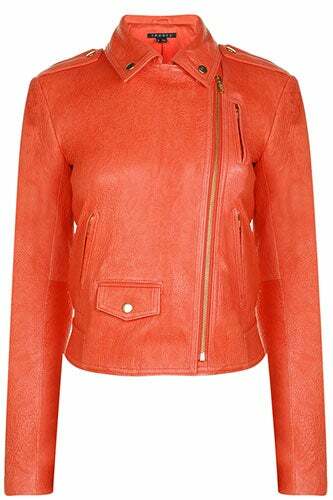 Alaïa Biker Jacket, $5,515.89, available at Colette. 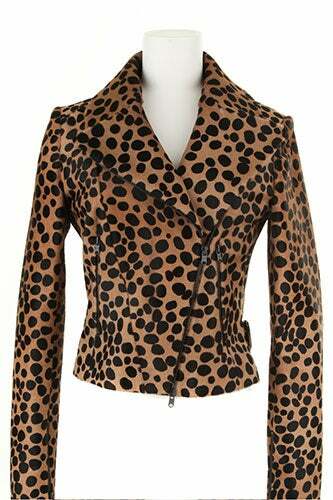 Rebecca Minkoff Wes Moto Jacket, $418, available at Rebecca Minkoff. 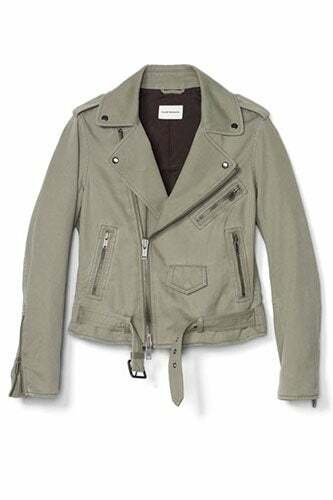 IRO Exclusive Biker Leather Jacket, $999, available at Intermix. Current/Elliot The Zip Moto Jacket, $728, available at Otte. 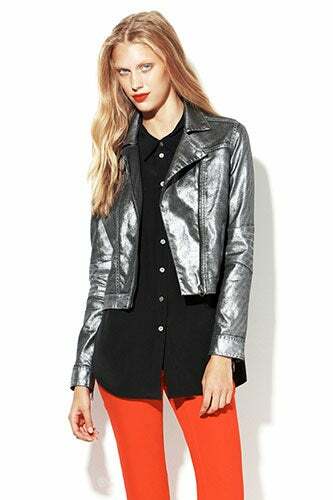 Vince Camuto Metallic Moto Jacket, $89.99, available at Shoebox. AE Denim Motorcycle Jacket, $69.95, available at American Eagle. 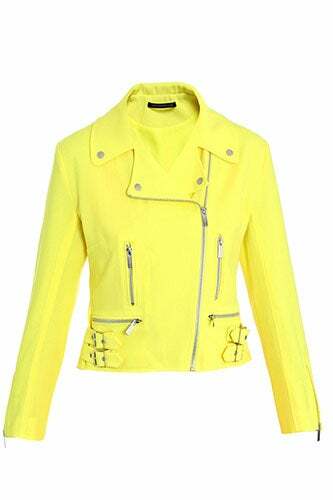 Christopher Kane Neon Biker Jacket, $781, available at Matches. 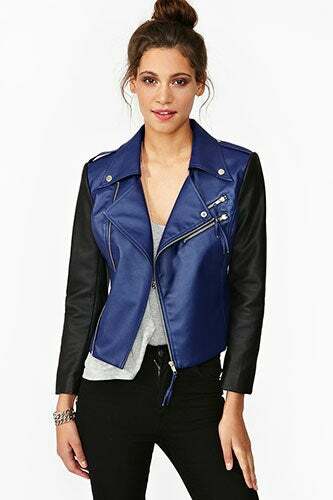 Nasty Gal Dark Edges Moto Jacket, $88, available at Nasty Gal. 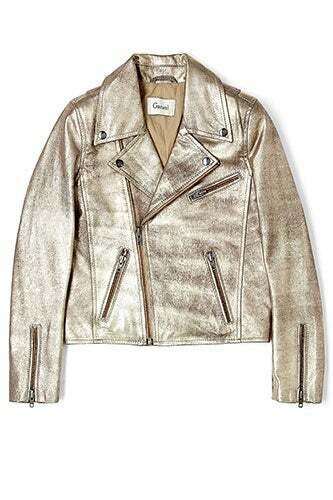 Ganni Leather Biker Jacket, $474.38, available at MyWardrobe.